A house may be bricks, mortar, a roof and windows, but what makes it feel like a home is the unique stamp you put upon it. The design, layout, colour schemes, furniture and fittings are what really brings a home together. 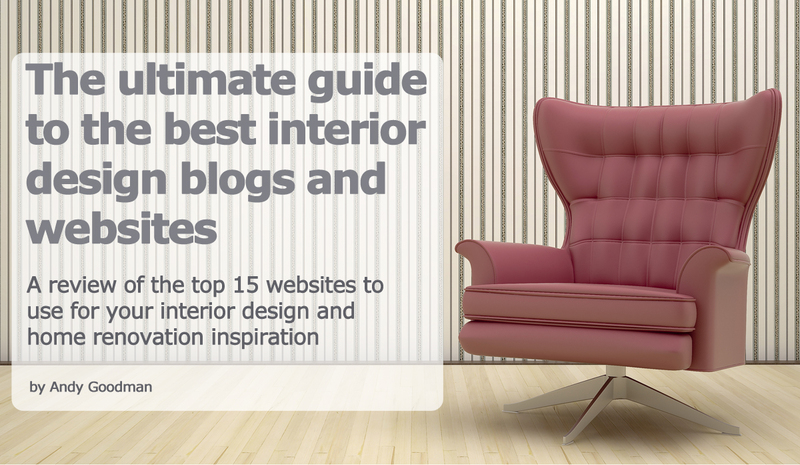 That said, the majority of us are no interior design specialists and we often require a little (or in some cases a lot of) inspiration from those who are. 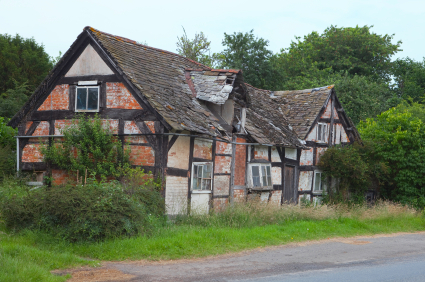 When it comes to renovating an older house there are many issues you are likely to face not normally associated with a newer build. This can range from updating out of date plumbing and electrics to bring them in line with modern regulations, to structural issues where the building has experienced movement and subsidence over the years. 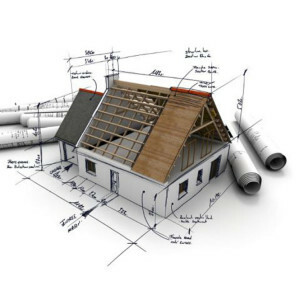 If you are a relative novice in home renovation then undertaking large scale work can become very complex and expensive. In worst case scenarios people spend thousands of pounds without having professional plans drawn up, this can often lead to a depreciation in the value of the house, especially if the property is stripped of its historical nature. A successful renovation of an older house involves the modernising and rebuilding of the structure and fittings whilst preserving its character and heritage. In today’s article we will be looking at 10 most common mistakes people make when renovating an older house and how you can avoid them. Christmas is a day for everyone, with gifts, decorations and good food. However, we can waste a lot on this particular day and with a little imagination we can have a lot of fun and build beautiful memories while respecting the planet. In this article, we give you plenty of tricks to organise your day whilst having an eco-friendly Christmas. It is difficult to celebrate Christmas without a Christmas tree! 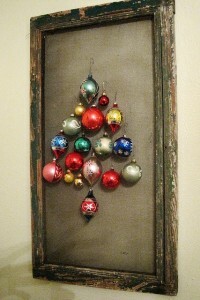 You can of course decorate your interior plants, walls or create an original tree with recycled materials. If you opt for a Christmas tree, make sure it does not have a negative impact on the environment. * Avoid trees covered with artificial snow which is usually made with chemicals. * Re-use your artificial fir tree several years in a row, it’s not necessary to change them every 3 or so years like it is often done! These trees are usually manufactured with non recyclable materials at the other end of the world. * If you prefer a natural tree, don’t forget to ask its origin. It’s preferable to buy one grown in the UK. * If you want to buy a fir tree, why not buy one in a pot so that you can plant it again in your garden? * Recycle your natural fir tree, quite a few places collect them to make them into compost. 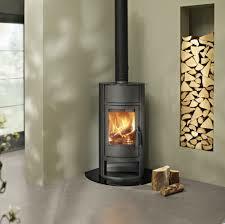 The use of wood burning stoves has become very popular in recent times. This is partly because wood is fairly inexpensive but also because the use of wood as a fuel is seen as a renewable energy source. The release of CO2 gas from combustion is the same as released from wood which naturally broken down in the wild. Burning releases about the same amount of carbon monoxide, carbon dioxide and methane as would occur if the wood were decomposing naturally on the forest floor. Trees and plants then reabsorb the carbon dioxide to produce energy through photosynthesis which is powered by the sun. This is part of the natural carbon cycle which has been happening for millions of years. It should be noted however, that wood burning stoves pollute more than cars in terms of their fine particles and polycyclic hydrocarbons. If you are considering using a wood burning stove in your home this article will help you choose the best for your needs and give you some practical advice on how to use them. Firstly you need to know what you are intending to use the stove for. Are you just looking to heat one room, is it a back-up system to your central heating or will you be using to the stove to heat most or all off your home? Once you know its use you can work out the amount of energy required and therefore the size of stove most suitable for your needs. Stoves with low power are suited best for well insulated, low consumption or smaller homes. A standard log burner will more than suffice. If the use is for a more integral part of your homes heating system then a mass stove (also called a stove with accumulation) will be better suited. From the classic wood burning stove to the more designing stove style available, your choice will most likely come down to it’s capacity and therefore heat output. In the great race to save energy, those who choose to invest in underground homes might be one step ahead of everyone. It seems the hobbits may have been ahead of their time with their homes built in to the hillside. 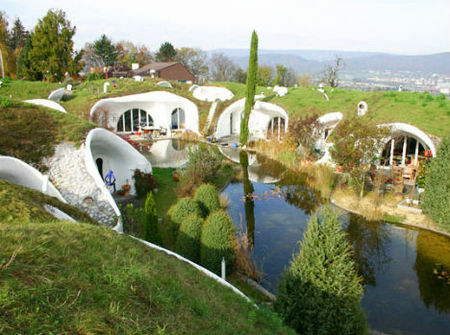 Underground housing (sometimes called earth sheltered housing) refers specifically to homes that have been built underground, either partially or completely. These subterranean homes have grown increasingly popular over the last thirty years and are an important sector in the green building movement. These types of dwelling are becoming more popular all over the world and today we will be looking at the advantages of an underground home in this article. The first advantage of such a construction is purely aesthetic, an underground home will not deteriorate the landscape, other than offer an original architecture with a frontage and round shapes. Quite simply, to keep its qualities, this type of home has to be buried on 3 sides. To compensate for the lack of light, a front with round shape offers more possibilities to install a large glazed surface to a maximum of rooms. Obviously, more luminosity means savings in lighting. The advantages of underground homes are numerous. Getting ready for a Halloween party this October? 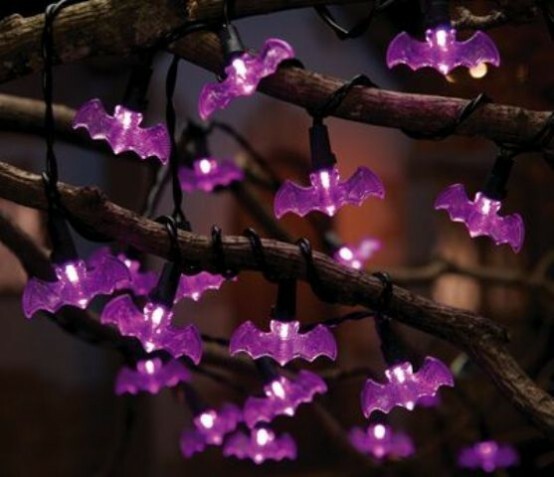 Let’s have a look at some cool and spooky decorations to transform your home! To celebrate Halloween this year, you have decided to go all out and transform your home in a den full of monstrous creatures. So you have the intention but how to make it actually happen? In this article, we give you some scary ideas to set your imagination in motion. We think it’s always better to think of the decoration of each part of your home separately, consider each room individually rather than try to create only one common theme. Moreover, your guests will love discovering a different theme everywhere they go. You could choose a lab in one part, a wet cell, a dreary ballroom…Don’t hesitate to use quirky details like eyeballs, skeleton hands, tulle black ghosts or blood in the bathroom. So let’s get inspired! Whether your next building or renovation project at home involves having a tradesperson tile your bathroom, or building a full-blown extension to your property, ensuring both you and your chosen tradesperson are clear on what’s needed is essential in making sure it’s successful. 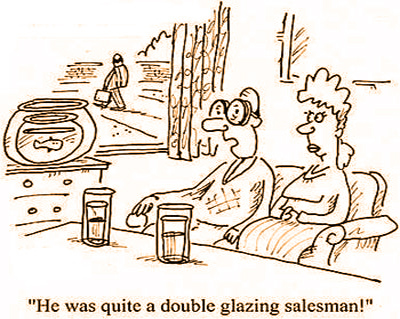 Deciding to have work completed on your property is usually a big decision. It costs money and is quite likely to cause a homeowner some level of disruption and stress. So, how can you maximise the chance of the project turning out exactly as you dreamt, minimise the risk of something going wrong and make sure that stress is kept at bay? For an authentic flooring and an irresistible retro look, choose encaustic tiles. 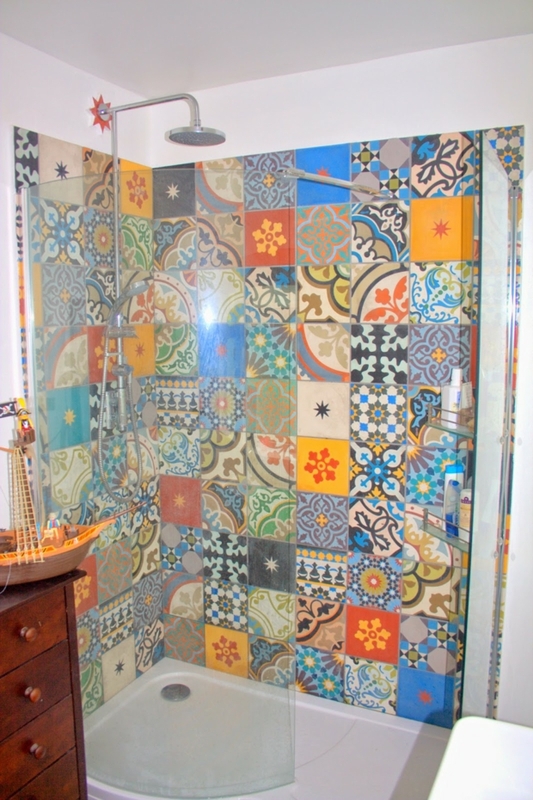 Created in the 19th century, these tiles are very sought after today in interior decoration. By mixing trends, you can add them to other styles for an eclectic and rich universe in your home. Its origin goes back to the end of the 19th century in Franceponds in Ardeche, near the first French cement factories. The production of tiles at the time was mainly located in the south-east of France, they quickly conquered the palaces of Saint-Pétersbourg, the proud Gaudi buildings of Barcelona, the colonial villas in Asia, without forgetting the popular public buildings and dwellings. Decorative and robust, the concrete tiles quickly became popluar all over Europe. With the arrival of industrial glazed ceramics, these beautiful cement tiles got forgotten. They are making a great comeback today thanks to their smooth design and their colours.These concrete tiles are manufactured by hand in Morocco and Vietnam. For the decorative side, by using a funnel, a mixture of marble powder, cement, sand and pigments is poured into a mould. To create the various design, a ‘divider’ made of brass is used. For the other side, the rest of the mould is filled with mortar to constitute the base of the tiles. The tile is then compacted and dried in the air for several weeks. In this article we look at various ways to use these tiles in your home and to help you come up with some ideas of your own. 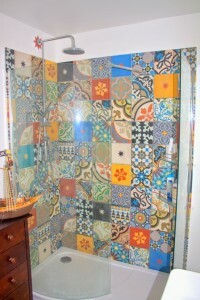 The most popular place for patchwork tile is bathroom. Here you can bring to life the most bizarre ideas of yours. Tiles can be used not only for walls and floor. By picking up the right size you may apply it to anything you want and slightly revive standard and boring pieces of interior. White tiles look clean but can give a cold and depressing look.Why not add a touch of colour by combining white and patchwork style tiles. It’s always a great idea in small spaces and why not be bold when you have to replace broken tiles and choose patchwork design? Renovating a property can feel like attempting to complete an assault course. It takes time, know how, determination and of course investment. When home owners want to design their renovation project and to carry out the work themselves, it’s even more difficult. However, renovating a house is also an opportunity to create a home to your taste and needs, to develop its architectural potential and to improve the comfort as well as it’s energy performance. In this article, we go through the stages of renovating a home with you.